Mark A. Senn was graduated with honors from Stanford University in 1969, received his J.D. from the University of California at Berkeley (Boalt Hall) in 1972, and his Master of Humanities from the University of Colorado in 2013. His practice emphasizes all aspects of commercial real estate transactions including preparation and negotiation of leases, purchase and sale contracts, and loan agreements. He represents landlords, tenants, developers, and lenders and frequently serves as an expert witness. He is the co-chair of ALI-CLE’s “Commercial Real Estate Leases” and “Modern Real Estate Transactions” programs. He has spoken throughout the country for Practicing Law Institute, International Council of Shopping Centers, the American Conference Institute, CLE International, and many state continuing legal education programs. Mr. Senn is the author of Commercial Real Estate Leases: Preparation, Negotiation, and Forms(5th ed. ), and contributing editor of State by State Guide to Commercial Real Estate Leases (5th ed.) and Commercial Real Estate Transactions Handbook (4th ed.). His published articles have addressed a variety of topics including the effect of the Black Death on English life and law, history of usury, land measurement, Shakespeare and land law, escrows, and self-help for commercial landlords. 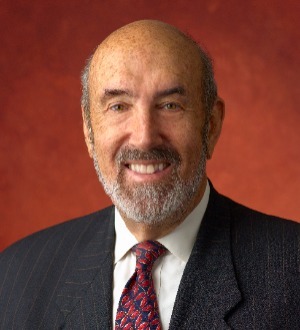 He is a member of the American College of Real Estate Lawyers; a member of the Anglo-American Real Property Institute; a member of the advisory board of the Georgetown Advanced Commercial Leasing Institute; past group vice-chair of the American Bar Association Section of Real Property, Probate and Trust’s Commercial Leasing Committee; a member a member of the advisory board of the Committee on Real Estate Law of ALI-CLE; past member of the board of advisors of Commercial Lease Law Insider and Commercial Tenant’s Lease Insider. Mr. Senn is listed in 5280 Magazine’s 2015 Top Lawyers; The Best Lawyers in America; The International Who’s Who of Real Estate Lawyers; Presidential Who’s Who; Chambers USA America’s Leading Lawyers for Business; Law Dragon 500; and Top 50 Colorado Super Lawyers.